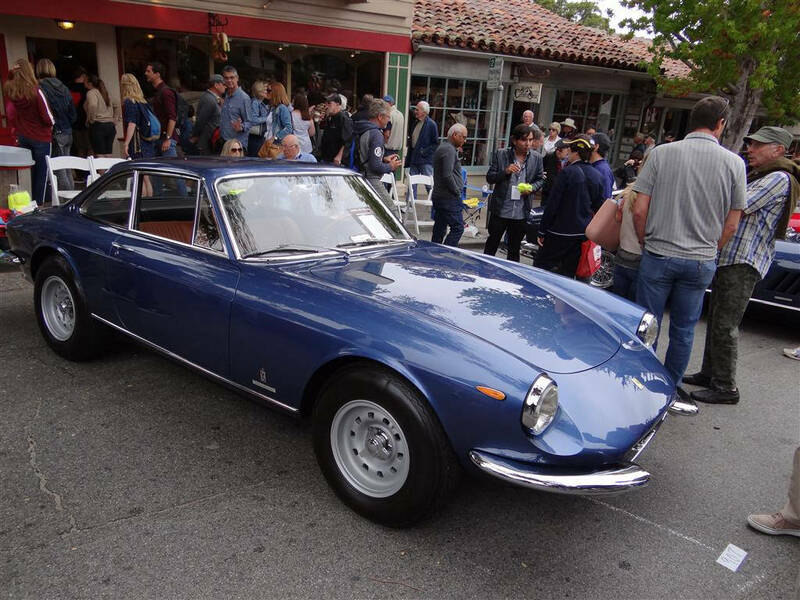 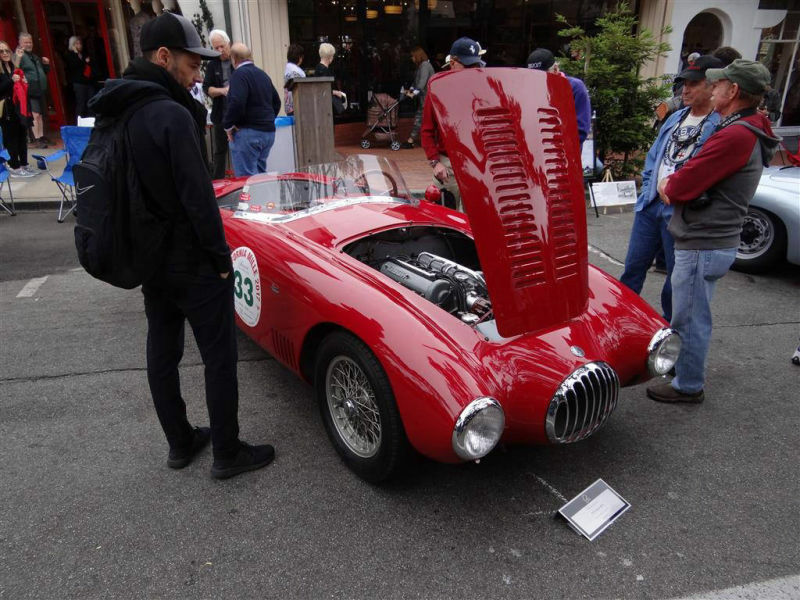 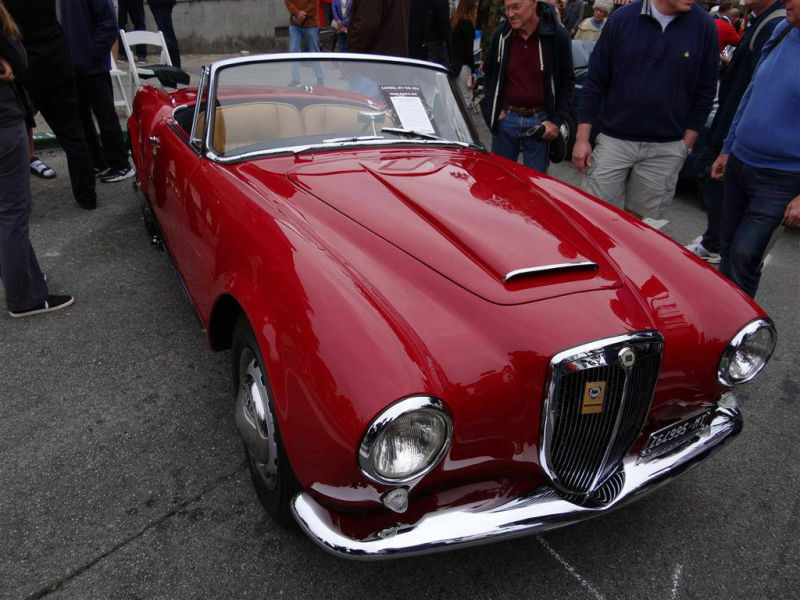 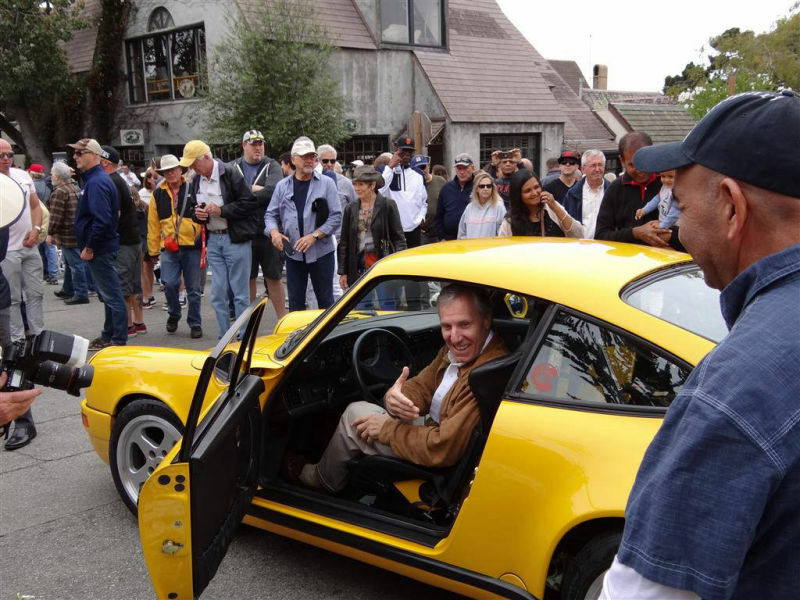 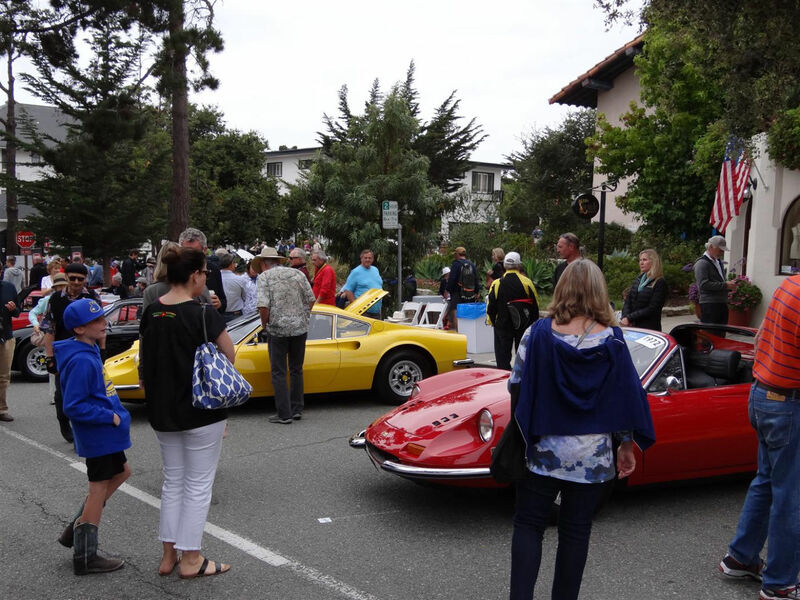 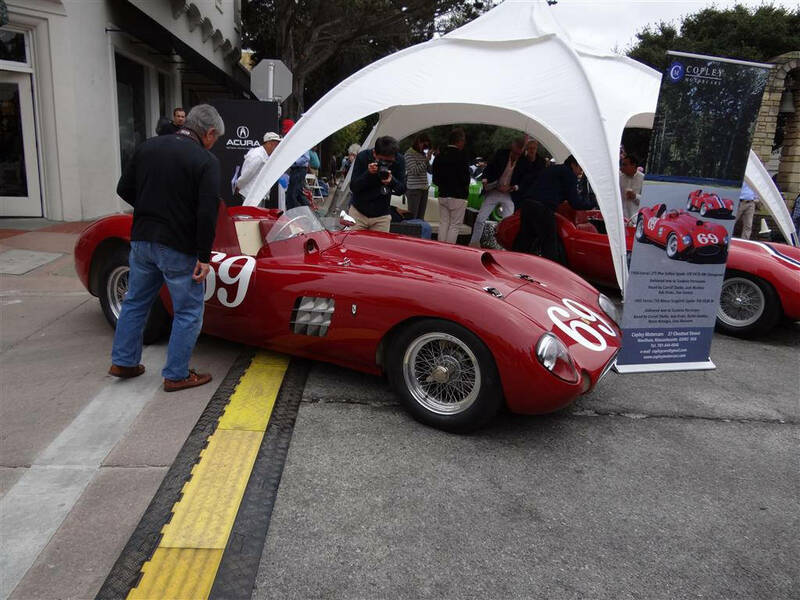 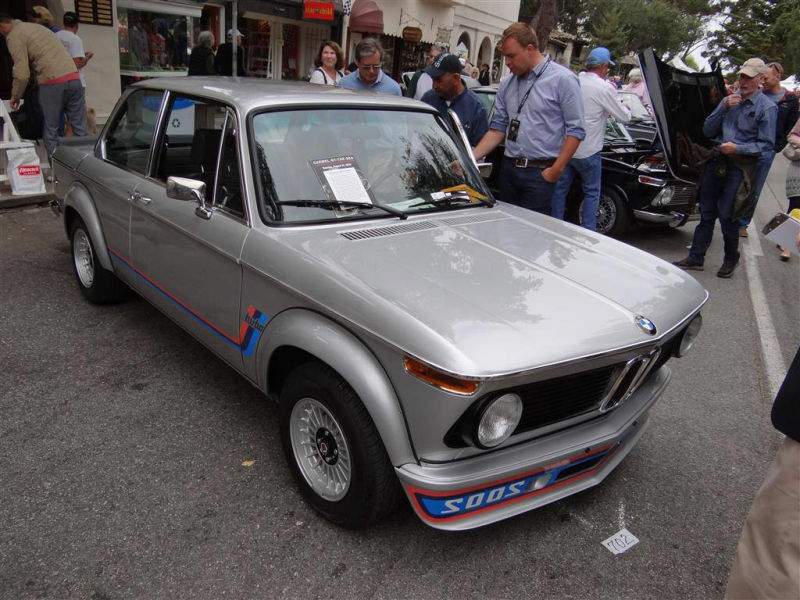 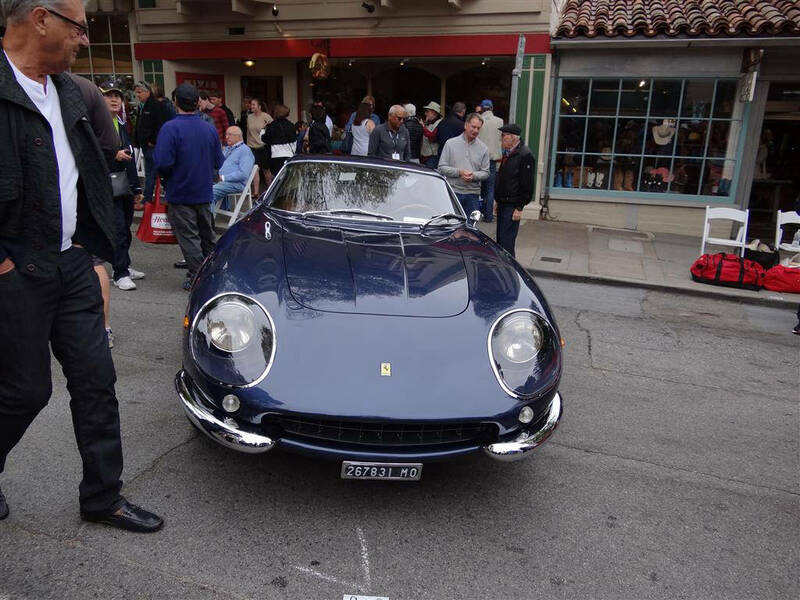 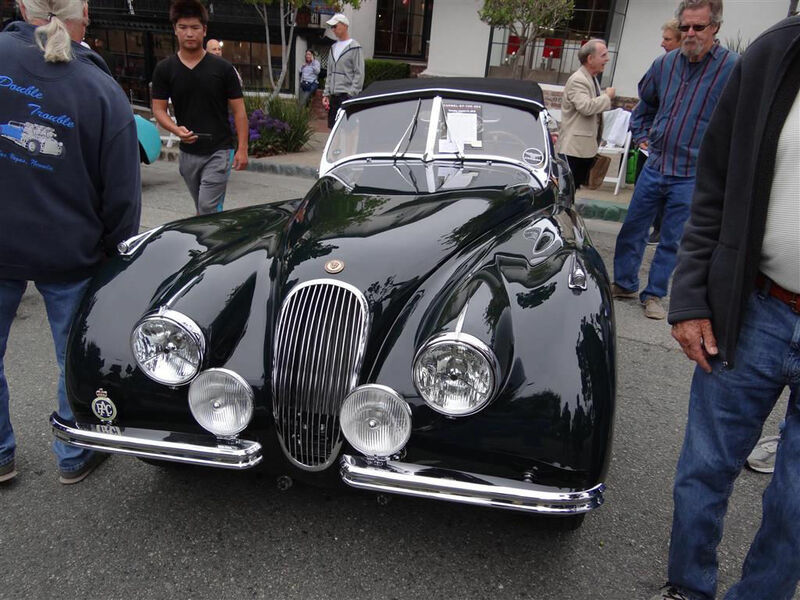 On the Tuesday of Monterey Car Week, Carmel hosts the annual Concours on the Avenue event. 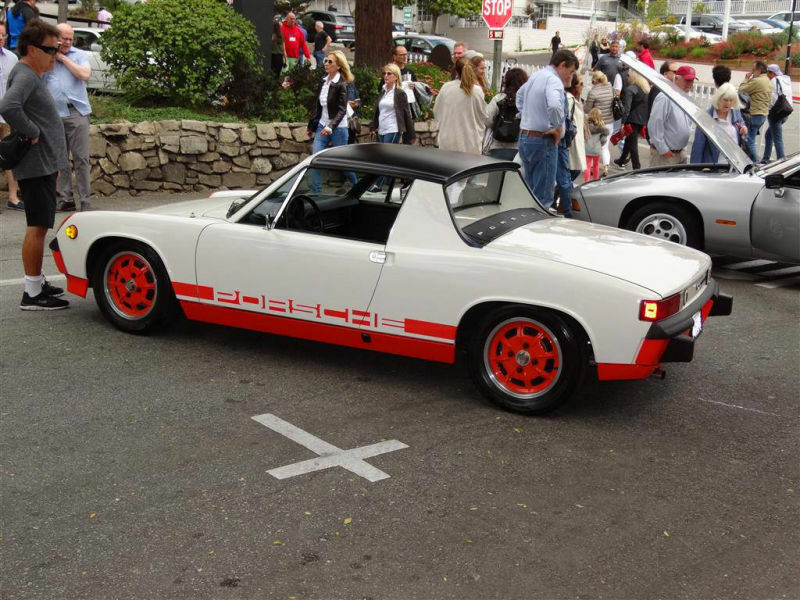 The whimsical architecture found in the city and inspired by Arthur Rackham's illustrations for children's fairy tales provide a unique setting for the Concours. 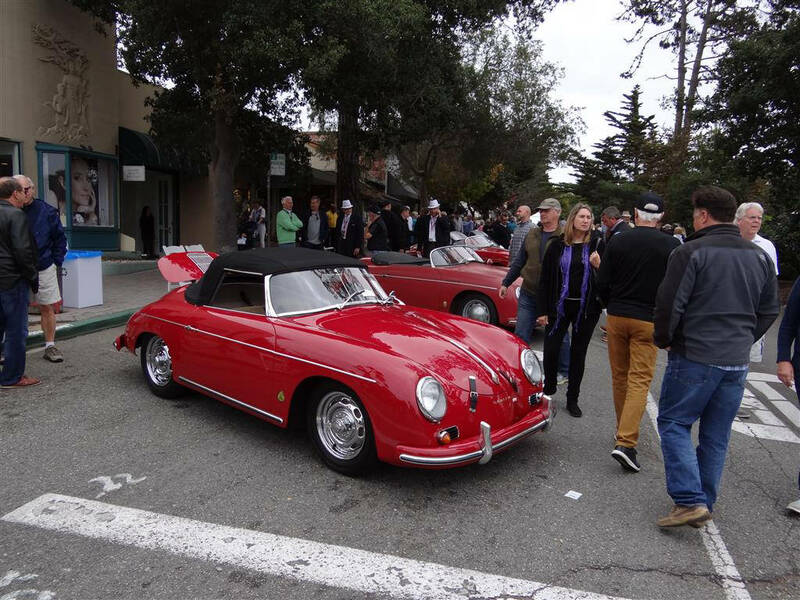 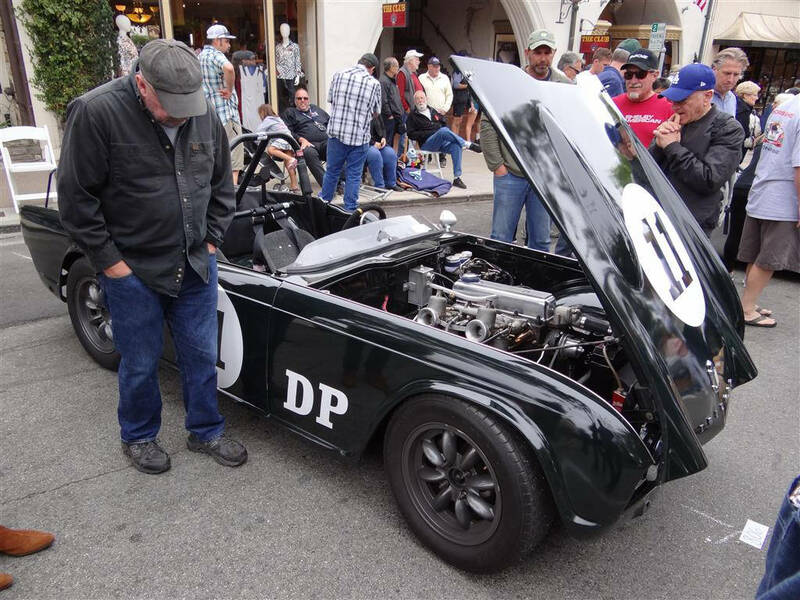 Carmel-by-the-Sea's world-famous Ocean Avenue was closed to traffic, with eighteen blocks of downtown filled with collector cars and related motorized fun. 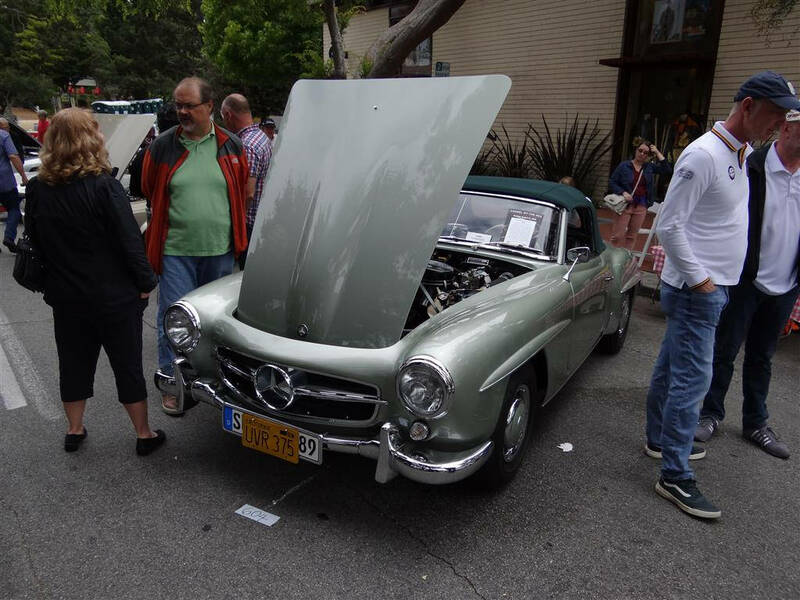 A fascinating mix of American and foreign cars was showcased in front of a backdrop of charming shops, critically acclaimed restaurants and numerous galleries. 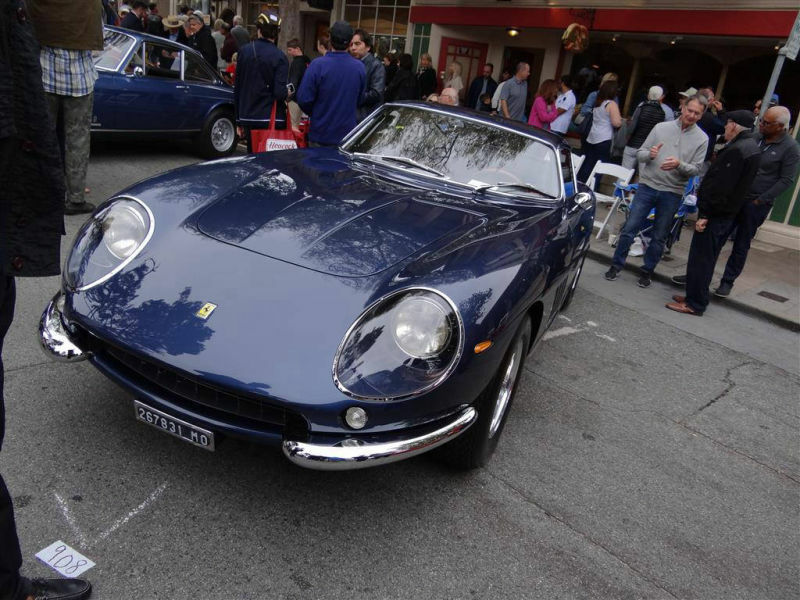 As with previous years, the Concours focused on vehicles not usually seen during this ten-day period. 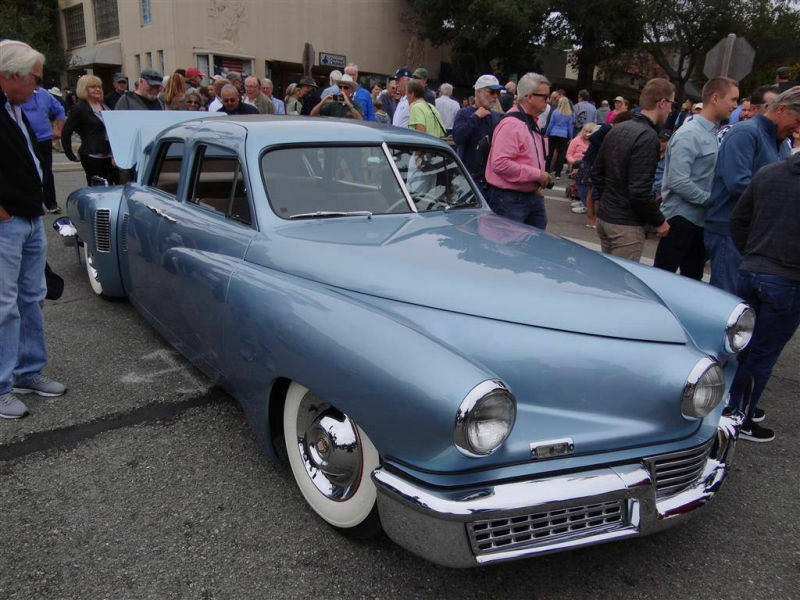 The cars included a variety of legendary vehicles, with over 175 cars on display in groups of juried classes Included were Luxury Cars, Muscle Cars, Hot Rods and Sporting Cars. 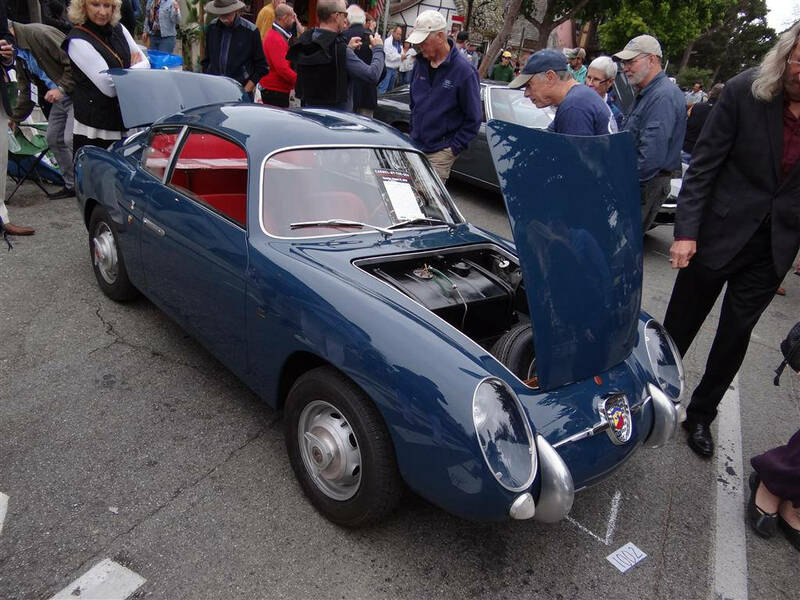 Micro Cars and others highlighted vehicles from the sublime to the spectacular, and selections based on a variety of factors, including authenticity, originality and provenance. 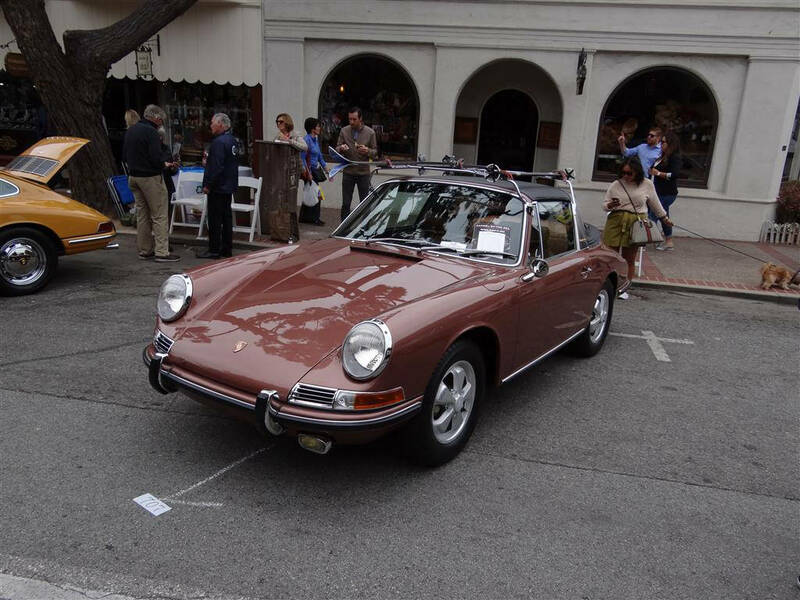 Additional consideration was given to cars that inspired youthful dreams, interesting stories and the hard-to-define fun factor. 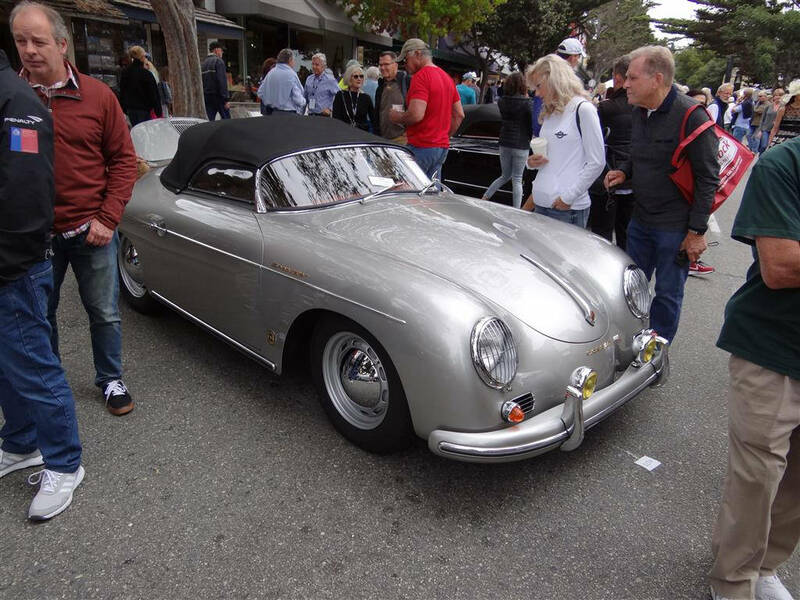 Class and major awards were presented in the late afternoon, with many attendees remaining in Carmel enjoying dinner after the event, completing a full day of enjoying both the cars and Carmel's unique setting.The Concours supports The Carmel Foundation in their work to provide a wide variety of services to Monterey Peninsula seniors.